The history of the religious persecution of the Huguenots in France, from the massacre of St. Bartholomew to the infamous outrages which preceded and followed the Revocation of the Edict of Nantes, is so familiar, through frequent graphic narrative, that any attempt at repetition here would be quite unnecessary, were the means to be employed adequate. But recently this topic has been ably considered, and a comprehensive narrative of the establishment of the fugitive Protestants in the New World presented as well. 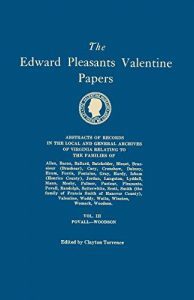 (a) An unpretentious assembling of scattered data relating to the Huguenot settlement in Virginia, and of families of the lineage, happily to serve as material in abler hands in the future, may only be essayed by the present editor. Following the Revocation of the Edict of Nantes, which was signed on the 18th and published on the 22d of October, 1685 the exodus thither was immense. “It was reserved,” pungently remarked President John Jay, in his Introductory Address before the Huguenot Society of America at New York, October 22, 1885 (having previously referred to the Massacre of St. Bartholomew in 1572), “for that most Christian and grand monarch, Louis XIV, more than a century later, to renew the persecution of the Huguenots by a crime of similar magnitude; and with folly without a parallel, to lose for France, by means similarly atrocious, hundreds of thousands of those same heretics, who carried industry, intelligence and prosperity, light, truth and happiness to other lands, including our own. Of the number lost to France, Sismondi computes the total number of emigrants at from 300,000 to 400,000; and thinks that an equal number perished in prison, on the scaffold, at the galleys, or in their attempts to escape. “So far as a moral estimate of the act is concerned, it has been well remarked that the revocation stands at so indefinite a height among the follies of statesmen that no exaggeration of facts can aggravate it.” (i) The significant fact in requital, has been published that eighty-nine descendants of the Huguenots, who were banished from France by the. Revocation, returned in 1870 as officers of the invading German army. Of the army of William of Orange, numbering eleven thousand, which sailed from Holland, and by whose aid he obtained the Crown of England, three regiments, each containing seven hundred and fifty effective men, were Huguenots. To these were added a squadron of horse. There were also about seven hundred officers distributed among the other battalions of the army. In gratitude to these zealous and effective supporters, and in sympathy with the great multitude of their suffering brethren driven violently from their homes and native country simply for their religion, the king invited them to make their home in his new dominions. The expense of transportation to America was usually borne by the Relief Committee in London. In fact, no small part of the Royal bounty – the English people’s bounty – went to pay for the passage of the refugees across the ocean. In the year 1700, as enumerated in the documents herewith presented, more than five hundred emigrants, at the head of whom was the Marquis de la Muce, were landed in Virginia by four successive debarkations. (k) Three ministers of the Gospel, and two physicians were among the number. The ministers are Claude Philippe de Richebourg, Benjamin de Joux, (l) and Louis Latané. The physicians were Castaing [Chastain?] and La Sosee. Preparations for this important movement had long been on foot, and more than once its destination had been changed. Two years before the date of the embarkation, negotiations were opened by the leaders of the body with Dr. Daniel Coxe, “proprietary of Carolana and Florida,” for the purchase of half a million acres of land in the latter territory. The tract in question was situated near Appalachee Bay, and the purchasers were to have the privilege of an additional half million of acres at the nominal rent of “a ripe Ear of Indian Corne in the season” for the first seven years. At another time Carolina was the objective point of the expedition. A third site suggested for the settlement was in Norfolk county, Virginia, on the Nansemond river, in the neighborhood of the Dismal Swamp. (m) They appear to have settled at different points; a portion about Jamestown, some in Norfolk county, others in Surry, and two hundred or more at a spot some twenty miles above Richmond, on the south side of James river (now in Powhatan county), where ten thousand acres of land, which had been occupied by the extinct Manakin (n) tribe of Indians, were given them. They were also exempted from the payment of all taxes for seven years, and were allowed to support their minister in their own way. Accordingly, in dividing the grant into farms, all running down to the river in narrow slips, a portion of the most valuable was set apart for the minister, and was thus possessed and used whilst one resided in the parish. It was afterwards rented out, and the proceeds paid for such occasional services as were rendered by neighboring ministers. Bishop Meade (o) states, 1857, that services were then regularly held in the old church at Manakin-Town settlement. According to Beverley, the emigrants, in 1702, “began an Essay of Wine, which they made of the wild grapes gathered in the woods; the effect of which was a strong-bodied Claret, of good flavour.” (p) The interesting fact is exhibited in the documents presented herewith (page 43), that the discovery of bituminous coal in Virginia was near the Manakin-Town settlement early in 1701. This deposit, subsequently known as the Dover Mines, it is alleged, was the first mined in Virginia. It is believed that bituminous coal was not to any extent used as a fuel in the State until after the Revolution, and then for a considerable period only for the heating of residences. (q) The Dover Mines were last operated in 1870 under the management of General Charles P. Stone, formerly of the United States Army, and late of the staff of the Khedive of Egypt. Among the names which have been preserved of the ministers who served the parish of King William regularly, or occasionally, were the following: Benjamin de Joux, until his death in 1704; Claude Phillipe de Richbourg, removed to Carolina in 1707 ; Jean Cairon, died in 1716; Peter Fontaine, 1720, 1721; Francis Fontaine, 1722-24; William Finney, 1722, and probably later; William Murdaugh, of St. James’-Northam, Goochland, and Zachariah Brooke, of Hanover county, in 1727; Mr. Nearne, or Neirn, 1727, 1728 ; David Mossom, of St. Peter’s parish, New Kent county, 1727; Mr. Swift and Daniel Taylor, of Blissland parish, New Kent county, in 1728 and 1729; James Marye, 1731-1735; Anthony Gavain, 1739. From 1750 to 1780, the Rev. William Douglass, (r) of Goochland; and other neighboring ministers occasionally served it. Subsequently the Rev. Mr. Hopkins, of Goochland, was the minister. It is exhibited that there were numerous instances of individual settlement of French Huguenots in Virginia prior and subsequent to the influx of 1700. The names of Barraud, Bertrand, (s) Boisseau (t), Bowdoin, (u) Cazenove, Contesse, Cottrell, (v) Forloines, Flournoy (w), Fuqua, Ghiselin, Jacquelin, Jouet, (x) Lacy, Mauzy, Michie, Micou, Moncure, Seay (y) Trezevant (z) and others, have been most estimably represented. His only daughter, Anne Contesse, married John Tyler, Marshall of the Court of Vice-Admiralty of Virginia. Her son, John Tyler, the father of President John Tyler, was born February 28, 1747, and died January 6, 1813. He was successively Speaker of the House’ of Delegates, Judge of the General Court, Governor of the State, and Judge of the United States District Court for Virginia. 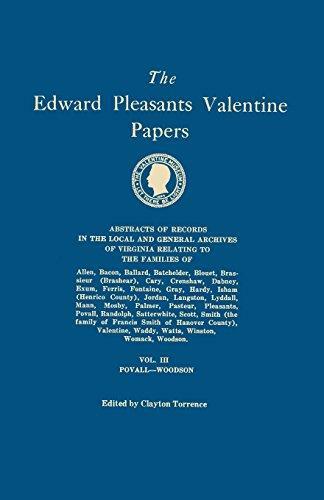 The name, Contesse, survives only as a Christian appellation in Virginia, but the lineage is represented in the names of Tyler, Seawell, Bouldin, Greenhow, and others similarly esteemed. The Church remembers him as Lacy of the “silver hand and silver voice.” He married a Miss Smith, and reared three sons and two daughters. Two of the sons became ministers of the Gospel. The eldest, William Smith Lacy, preached for a time as a missionary, and then became pioneer of the Church in Arkansas. The youngest, Drury, was pastor for some time in Raleigh, North Carolina; then served as President of Davidson College; and subsequently as chaplain in the State hospitals. The third son became a physician. Each of the sons reared a son for the ministry. Of these, one, the Rev. B. T. Lacy, was the chosen chaplain of General T. J. Jackson, Confederate States Army, and another was a chaplain in the Army of Northern Virginia. Two grandsons entered the army; one died in Petersburg from disease brought on by exposure; and the other, Major J. Horace Lacy, saw much active service. The two daughters each married Presbyterian ministers. The elder became the wife of Samuel Davies Hoge. the son of Rev. Moses Hoge, D. D., Professor of Theology of the Virginia Synod. Her two sons entered the ministry. The elder is the distinguished pulpit orator, Rev. Moses Drury Hoge, D. D., pastor of the second Presbyterian Church, Richmond, Virginia. The younger son, Rev. William James Hoge. D. D., died in 1864, pastor of the Tabb Street Church, Petersburg, Virginia. The youngest daughter married Rev. James H. Brookes, and reared one son for the ministry, who is now pastor of a church in St. Louis, Missouri. Paul Micou was a fugitive from Nantes. After some years of exile, probably in England, he emigrated to Virginia, and settled in Essex county. He had been educated for the bar, and was a man of great and acknowledged worth. He served as a justice of the peace from 1700 to 1720. He died May 23, 1736; aged seventy-eight years. A son, Paul Micou, Jr., served also as justice of the peace for Essex, 1740-1760, and a grandson of the same name, for the period 1780-1800. One of his daughters married Rev. J. W. Giborne, of Lunenburgh parish, Richmond county. Another daughter, Judith Micou, married Lunsford Lomax. His son, Major Thomas Lomax, was the father of Judge John Tayloe Lomax, so long and favorably known in the Virginia courts. Another daughter married Moore Fauntleroy, whose ancestor, Lieutenant-Colonel Moore Fauntleroy, was a patentee of lands in New Norfolk county in 1643. A descendant in the present generation of Paul Micou, the venerable James Roy Micou, has, served as clerk of Essex for quite a half century. Another descendant, Mr. A. R. Micou, formerly editor of the Tidewater Index, is the present State Superintendent of Public Printing. Rev. John Moncure, the progenitor of the worthy family of the name, was of Huguenot descent. One of his daughters, Jean, who possessed the poetic gift, was a highly intelligent lady, zealously pious, and abounding in philanthropy; was the wife of General James Wood, Governor of Virginia. Another honored descendant was the late learned and guileless Judge, Richard C. L. Moncure, of the Court of Appeals of Virginia. (a) The excellent works of two learned brothers: History of the Rise of the Huguenots in France, by Professor Henry M. Baird, 2 vols., 8vo., (to be followed by two uniform volumes on The Huguenots and Henry IV, and it is hoped by others, covering the period of struggle and suffering down to the Edict of Toleration), and History of the Huguenot Emigration to America, by Charles W. Baird, D. D., 2 vols., 8vo. (b) Baird, C. W., I, pp.163-5. (c) Hening’s Statutes at Large, I, p.486. (d) Ibid., I, p. 545; II, p. 16. (f) Said to have been born in Holland in 1644; m. in Virginia —— Garrett, and had issue, four sons: William, Minor, Peter and Garrett: progenitors of the Minors of Virginia, and the Southern and Western States. (g) Hening’s Statutes at Large, pp 302, 308, 339, 400, 447. (i) Commemoration of the Bi-centenary of the Revocation of the Edict of Nantes, October 22, 1885, at New York, p.9. (j) Foote’s Huguenots, p. 521. (k) The number is stated by other authorities to have been more than 700. Beverley’s History of Virginia, edition of 1722, p.244. Baird, C. W., II, p. 177. (l) He died prior to April 1, 1703 , as an inventory of his effects is of record of that date in Henrico County Court. (m) Baird, C W., II, pages 176-8. (n) Monacan, in the Indian dialect – a warlike tribe, who resided from the Falls of James river to “Monocan-Town,” and whom Powhatan in vain attempted to subdue. (o) Old Churches and Families, I, page 466. (p) History of Virginia, edition of 1722, page 245. (q) It has been asserted that there were shipments to Philadelphia, Pennsylvania, for manufacturing purposes, prior to the Revolution. (r) An early tutor of Thomas Jefferson. The tradition in the Griffin family is, that it is of Welsh extraction. There are grants of 1,155 and 1,046 acres of land to Samuel Griffin, in Rappahannock county, in 1660, and of 1,000 acres to William Griffin, in Northampton county, in 1662, of record in the Virginia Land Registry. As the names Samuel and William have been transmitted by the descendants of Leroy Griffin for generations, it may be presumed that one of the brothers, grantees of land as named, was his ancestor. His son, Cyrus, born 1749, was educated in England. Returning to Virginia, he became a member of the Legislature, delegate to the Continental Collgress-1778, 1781, and in 1787, 1788-and was its President in 1788; President of the Supreme Court of Admiralty; a Commissioner, in 1789, to the Creek Nation of Indians; Judge of the United States District Court for Virginia from 1789 till his death at Yorktown, Virginia, 14th December, 1840. He married Lady Christine Stuart, daughter of John, sixth Earl of Traquar, Baron Stuart of Traquar, Baron Linton and Cubarston in the peerage of Scotland. Mary, the daughter of Judge Cyrus and Lady Christine (Stuart) Griffin, married her cousin, Dr. Samuel Stuart Griffin. Their son, Dr. James Lewis Corbin Griffin, who died 22d October, 1878, in his 64th year, at “Lansdowne,” Gloucester county, claimed to be the rightful representative of the Barony of Traquar, etc. (t) The progenitor of the family, Rev. James Boisseau, served as a minister in the Colony prior to 1697. Perry’s Church Papers of Virginia, 34. (u) Pierre Bowdoin first settled in Ireland; then, with his wife and four children, emigrated to Casco, Maine. He was godfather to Peter Fanueil, the donor of Fanueil Hall, Boston. A daughter married a Temple, and was thus an ancestress of Hon. Robert C. Winthrop. A son, James Bowdoin, was the friend and compatriot of Washington and Franklin. Another son, John Bowdoin, removed to the Eastern shore of Virginia about 1700. His granddaughter was the wife of Professor George Tucker, of the University of Virginia. Pierre Bowdoin was a Burgess from Northumberland county in 1736, and John Bowdoin, in 1774 and 1775; died 1775. Preeson Bowdoin was a member of the Phi-Beta-Kappa Society of William and Mary College in 1776. John Bowdoin was a member of the House of Delegates from Northumberland county in 1778. (v) Charles Cottrell patented 123 acres of land in Goochland county, August 28, 1748. Susanna Cottrell and Howard Cash, Executors of Thomas Cottrell, deceased, patented 700 acres in Amherst county, August 30th, 1763. Virginia Land Registry. (w) There are various grants of land of record in the Virginia Land Registry to Jacob, John James, and Francis Flournoy. Thomas Stanhope Flournoy was a member of Congress from Virginia, 1847-1849; Whig candidate for Governor in 1860, and member of the Virginia Convention, 1860-‘1. Hon. Henry W. Flournoy is the present Secretary of the Commonwealth of Virginia. (x) Matthew Jouett patented large tracts of land in Hanover in 1732. Thomas Jouett patented lands in Albemarle in 1752. Captain Jack Jouet, by hard riding in May, 1781, apprised the fugitive Legislature, then sitting at Charlottesville, Virginia, of the approach of the British under Tarleton, and thus prevented their capture. The service was acknowledged by a resolution of thanks, passed June 12, 1781, and the presentation of an elegant sword and a pair of pistols. Captain Matthew Jouett, of the State Line in the Revolution, fell in the service, and his representative received 4,000 acres of bounty land. A son of Captain Jack Jouett, the late Matthew Jouett, of Louisville, Kentucky, is said to have rivalled in ability Gilbert Stuart as a portrait painter. It is claimed that the name was originally De Jouet. (z) James Trezevant was member of Congress from Virginia, 1825-1831, and a member of the Virginia Convention of 1829-30. The Trezevants were from the northern part of the province of Maine. Baird, II, pages 97, 98. (aa) Foote, pp, 574, 577. (bb) Marie Contesse married, March 10th, 1705, in the French Church in New York, Jacques Rezian de St. Martin en Ré. Baird, C W., II, p. 305. Jean Contesse, of Rouen, in Champagne, was received into the French Church in London, September 10,1699. He had a wife, Judith, and three children. Jean Moyse Contesse was in New York in 1705 and in New Rochelle, New York, in 1709. (cc) Virginia Land Registry, Book No.12, pp.323, 324. (dd) See Virginia Historical Register, III, 1850, pp.25, 26. (ee) Meade’s Old Churches and Families of Virginia, I, p.97, et seq. gives much information regarding the Amblers and Jaquelins of Virginia.